Material: Cromargan stainless steel 18/10 matt finish. Rust-free, dishwasher safe, dimensionally stable, sanitary, acid resistant and indestructible. Design: WMF Atelier (Peter Bäurle). Design prize: red dot award, Good Design. A delicious cake deserves a beautiful cake server. Carefully slide the wedge-shaped cake server under each piece of cake, then lift it out, and place it on the plate. The cake server is also perfect for serving square pastries, muffins or baked goods as well as pizza, quiche, savoury pies or even lasagne.  The WMF models are available in various designs - to complement an existing collection or as individual items. The unusual length, slender shape and silky matt surfaces of this cutlery are unique. There is no doubt about it, the WMF Vision cutlery is exceptional. Designer Peter Bäurle has created a cutlery that is both solid as well as three-dimensional, with well-balanced proportions and an asymmetrical bevel at the end of the handle. The knife with an inserted forged blade is an eye-catcher. It can be placed on its back or standing on the blade. The table arrangement is particularly elegant with several matching pieces of serving cutlery and complementary items.